Happy Easter 131 Fam! This fun recipe works year-round, but it’s awfully fitting for Easter thanks to a healthy dose of carrots. Made in just one bowl (well, food processor), they have all the flavors and spice of the cake itself, without any flour, gluten or added sugar. Now, these sweet little bites are great for your 131 Carb Charge days. Those are the days when you’re teaching your body to use carbs instead of store them. They’re sweetened naturally with dates. Dates are high in natural sugars, which isn’t a bad thing, but be aware that your body doesn’t differentiate between sugar, honey, dates, syrup, fruit or pasta. It’s all sugar to your body! That’s why you want your body to know how to burn fat and sugar for fuel, especially on days when you consume more carbs. Wondering how to do that? Like, how does one become metabolically flexible? How do carbs work for you, not against you? Well, it’s all revealed in the 131 Method. Check out the program or the book today! 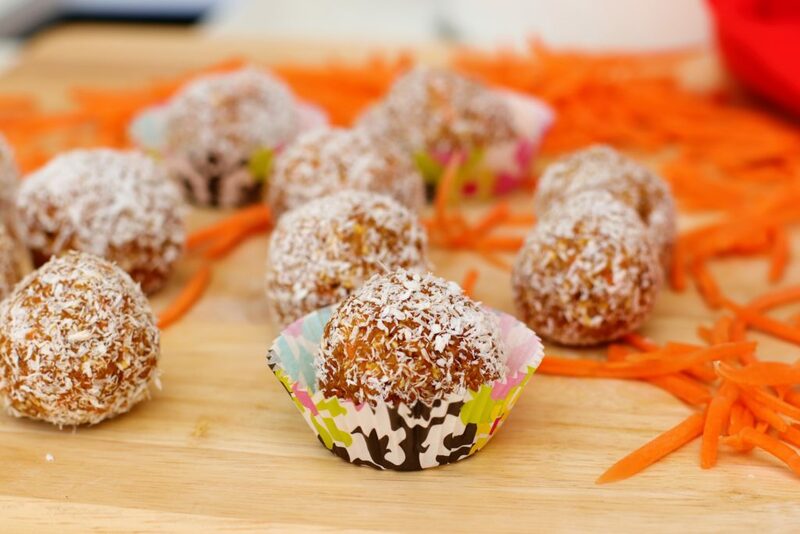 Add everything but the coconut to a large food processor and process until a dough ball forms and the dates and carrots have been finely chopped. 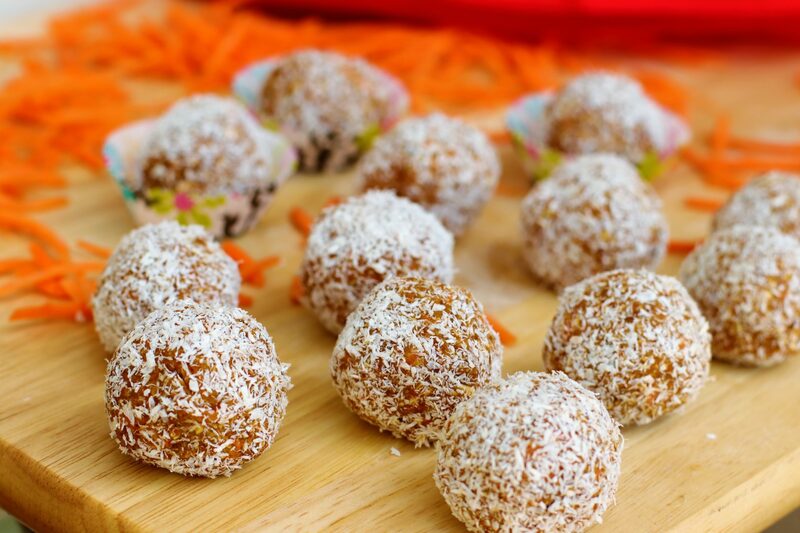 Roll into balls, then roll into coconut, if using.